Once the ACC integration is set up, it is possible to submit new claims to ACC via the Client’s Case. For more details on setting up an ACC Case, click here. Below explains the step by step process to submit a New Claim, for more details to add a Pre-Submitted Claim, click here. 1. Open the Client’s ACC Case. 2. Click Add Claim in the ACC Claims section under the Payer’s details. 3. 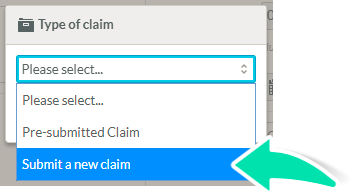 Select Submit a new claim from the drop-down list. This will open a new window in which lots of information will need to be added in the different sections. 1. Select the Vendor in the drop-down list. 2. Select the Provider in the list of Provider enabled for ACC. 3. Once the Vendor and Provider are selected, the ACC45 # will be generated automatically if a Sequence Number has been added in the ACC Integration section. If not, add the ACC45 Number manually. 2. Select the injury Location in the drop-down list. 3. 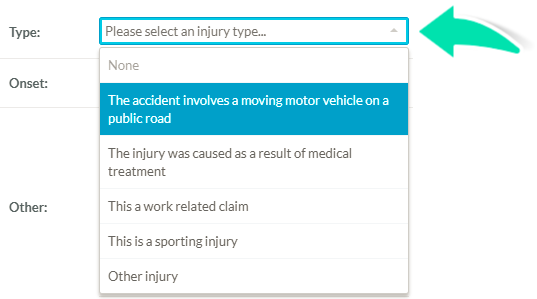 Select the type of Scene of injury in the drop-down list. 4. Enter the Cause of the injury. 5. Select a Type of injury from the drop-down list. When adding the Type of injury, if “This is a sporting injury” is selcted, a second drop-down list will be provided in which the Type of Sport needs to be selected. 6. Tick the Onset checkbox if applicable. 7. Tick any Other options that are applicable. 1. Click the Plus icon next to Diagnosis. 2. 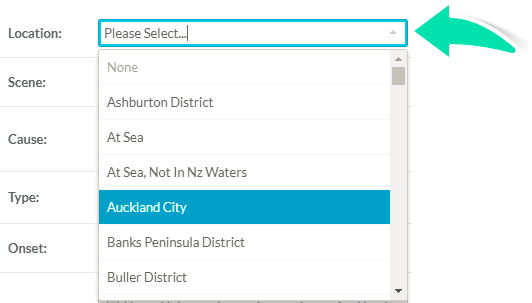 Select Read Code in the top field. 3. 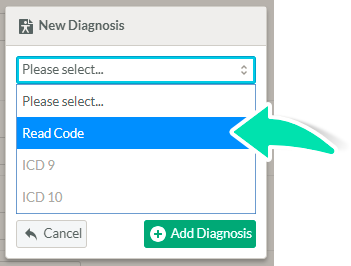 Click on the Plus icon above Diagnosis description to find the Diagnosis Read Code. 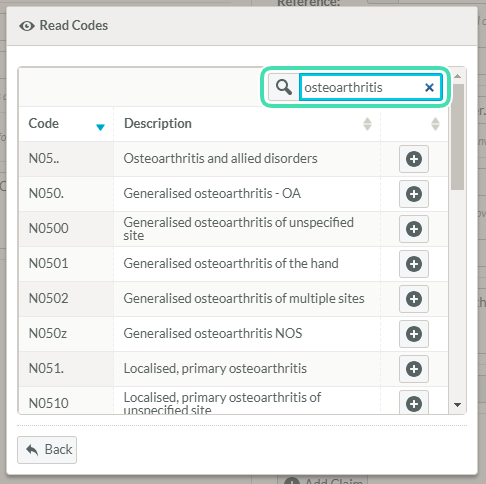 Only one code per Diagnosis can be added. 4. 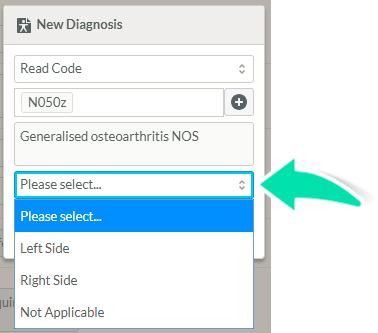 Click on the Plus icon next to the appropriate Diagnosis Read Code. 5. Select a Side from the drop-down, if applicable. To add further diagnoses, repeat steps 1-6 for each diagnosis. Up to 10 Diagnoses can be added in total. 1. Click the Plus icon next to Referrals. 2. 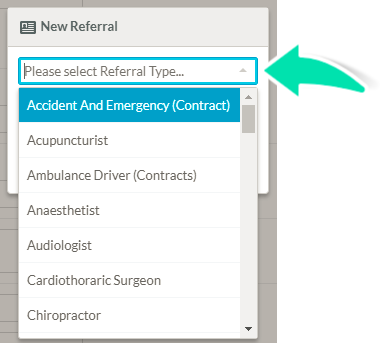 Select Referral Type from the drop-down. 3. Enter a Referral Description. Additional referrals can be added, to do so, repeat the steps above. If the occupation is already added in the Client’s Health section, it might be pre-filled here. 2. Next to Paid, select the payment status of the Client using the drop-down list. 3. Next to Status use the drop-down to select the employment status. If Other is selected, add more details in the field added below. 4. Next to Activity, select the physical demand of the employment, if applicable. 5. 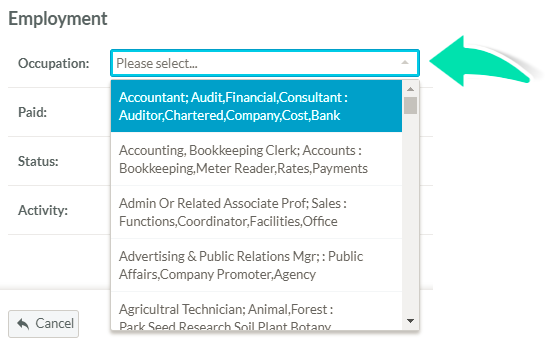 If an Occupation is selected, select the Employer from the drop-down list of existing Contacts in the Nookal account. If the Employer does not already exist as a Contact, Add as a new Employer. 6. If “Yes – this client has paid employment” is selected above, additional fields regarding a return to work will be added. Next to Resume, select the current working status of the client. If Yes – the client can resume normal work, no additional field will be required and the claim will be ready to be submitted. If No – the client cannot resume normal work is selected, many additional fields will need to be filled before the form can be submitted. See Additional Details for ACC Claims When the Client Cannot Resume Work for all the details to fill this section. 7. Once all the details are added to the Claim, click Submit Claim. Click Save Draft to save the claim and return to complete and submit later. Once the claim has been submitted, it will appear in the Claims list with a status of Queued, which means it’s on its way to ACC to be approved. This process is usually completed within 3 hours. If ACC have approved the claim, the status will then show as Accepted and Approved. If ACC have failed the claim, the status will show as Error or Failure. You can Print the claim details for Patients, ACC, the Employer or the Referrer using the Print icon within the ACC claims list. You can also print an ACC Consent form for the client to fill out from the bottom of the client’s Case.